Flend depilator is improved and more powerful for better and less painful hair removal that goes right to the root and removes hair from delicate areas – like the upper lip, chin, cheek area, bikini line and underarms, leaving the body skin smooth for up to 6 weeks. 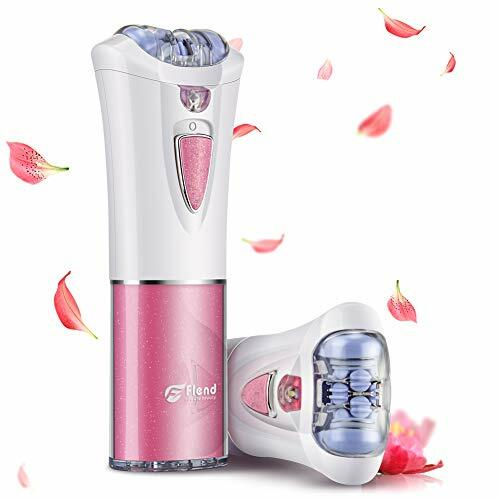 Unlike traditional chemical epilating methods or epilating forceps which takes about one hour in removing hairs and brings great pain in the epilating process, Flend epilator can remove hairs in just five minutes with no pain or discomfort. Battery-operated design brings great convenience to cordless use and avoids the trouble of charging and waiting. Easily removes even the shortest, tiny hair. The epilating head can be easily removed for convenient wash and clean. Light weight and mini size, good for traveling. Note, Before using your epilator for the first time, familiarize yourself with how the unit feels when removing hair from the root. We suggest that you try the unit on the back of your hand. The slight sansation you feel will diminish over time. And please be aware of that epilating effect varies from different people. Correct battery position please refer to picture 3 above and epilating effect may vary from different skin types. RISK-FREE, ONE YEAR GUARANTEE so “Add to Cart” Now! Please note, we do not accept any product return after use in consideration of health and sanitation. Esay to Use: 1.Pull the cover hard and install into 2 AAA batteries. 2.remove the cover of the blade. 3.Switch the button and then you can enjoy using the shaver with your full body. Cordless Design for travel: It is no need to plug into eletricity so you can take it out and use it under any circumstances. It is convenient for short and long term tourism. Hypoallergenic Stainless-Steel Blades: High-quality, hypoallergenic stainless-steel blades are especially gentle on sensitive skin to avoid irritation while shaving and trimming. What You Get: 1* Flend Electric Bikini Trimmer, 1* Instruction Manual. 1 year Warranty and lifetime frindly customer services. 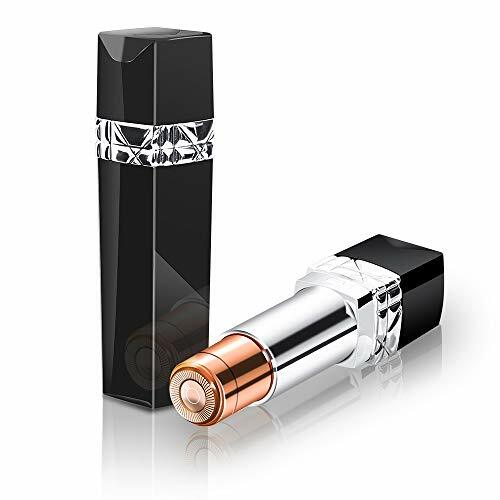 Our ear and nose hair trimmer is specially prepared for successful men and elegant ladies. 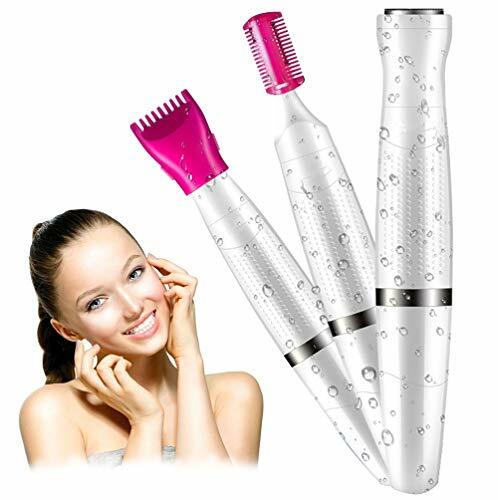 With our ear nose hair trimmer, your life will go to success and quality. Safe to use, our ear and nose hair trimmer for men never hurt your skin. Strong but quiet, you can feel free to use our ear and nose hair trimmer without affecting any persons around you. Built-in battery, the ear and nose hair trimmer men is rechargeable and you can use it anywhere, anytime. Waterproof, Our nose hair trimmer for men comes with stainless-steel blades and you can clean it under the running water. Portable and lightweight, This nose hair trimmer men is great for carrying around or taking out travelling. We firmly believe that choosing our nose and ear trimmer for men is a wise choice for you. 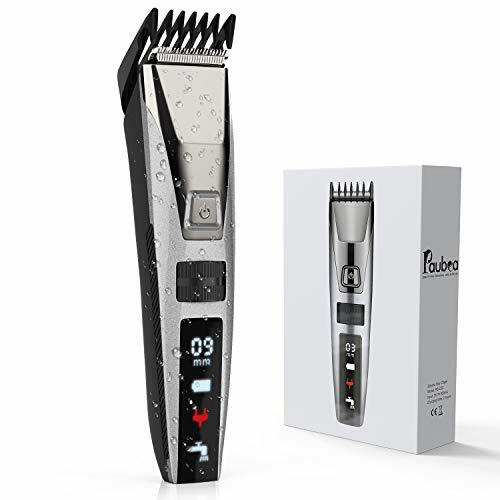 All our rechargeable nose hair trimmer offer one year free warranty service, any questions about our hair clippers for men please feel free to contact us at any time. Spinning Blades System: This product features a dual-edge spinning blades system with protective cover, inner 360° rotating design, which precisely remove the hairs without painful and unpleasant pulling. 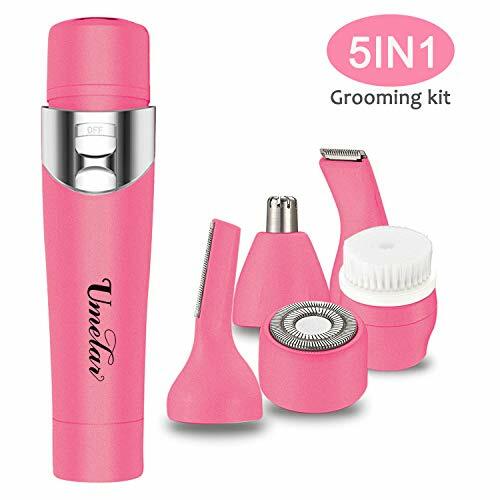 More ecoonomical and Practical: 4 in 1 set, this electronic nose hair hair clipper kit includes nose hair clipper beard clipper ear hair clipper eyebrow clipper, to meet your different needs in a device implementation.In addition, the use of mute noise reduction system, no noise, comfortable and quiet to clean facial hair. 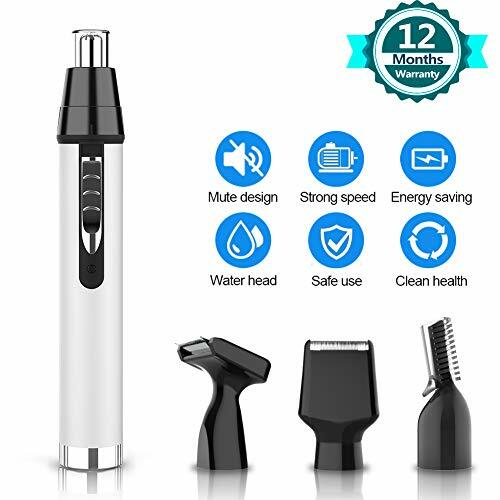 Buy With Peace of Mind: Cleanfly nose hair trimmer comes with 24 hours professional service center, 30 days money back warranty, 12 months quality guaranteed and 365 days technical supported. Excellent customer service brings you no worries after purchase. Please feel free to reach us if you have any question or dissatisfaction. 3 In 1 Rechargeable Washable Floating Head Rotary Shaver Wet/Dry Men’s Electric Shaver Razor with USB Fast Charging, LED Display. This item perfect for travel and Best Gift. Please keep electric shaver in dry place although is a washable shaver, but do not keep in water for a long period of time. 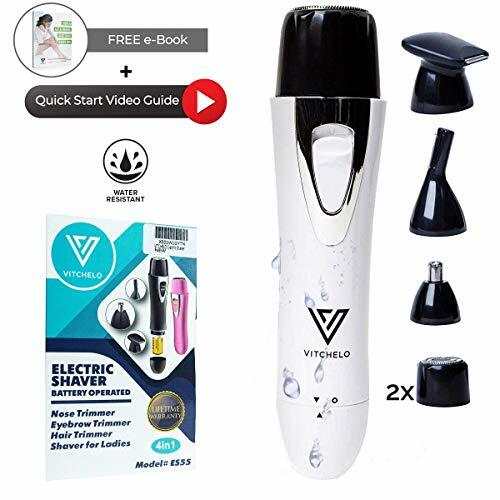 [3 in 1 Multifunctional Electric Shaver] Including beard razor, nose trimmer and also with facial cleansing brush, helping cleaning your face, which makes your life easier. 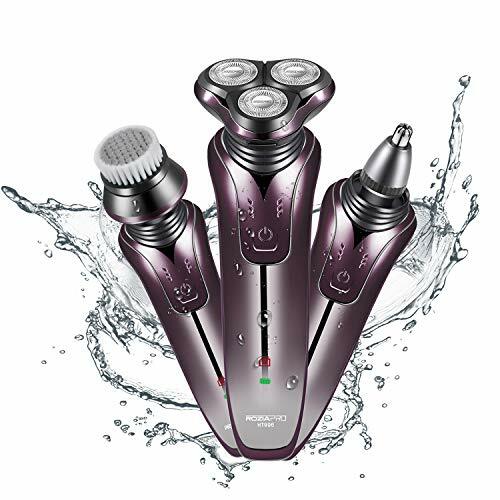 [The 3D rotary shaver with precision blades of upgraded double] This 3D rotary shaver automatically adapts to the contours of the face, neck and even the jaw for a more comfortable and close shave. [USB Quick-Charging & LED Display] USB charging, efficient charging speed. Electric shaver can be charged at home or on the road, it is very convenient for your daily and for travel. In addition, including LED Charge Indicator, it can remind you about the battery capacity. [100% Waterproof/Wet and Dry] The whole body of this shaver is washable, Shaving can also be enjoyed while bathing, and allows you a comfortable dry shave or a refreshing wet shave with shaving foam or gel for easy handling. [100% SATISFACTION GUARANTEE] Please feel free to contact us for any issues, our customer service team is standing by to help you including a replacement or refund. 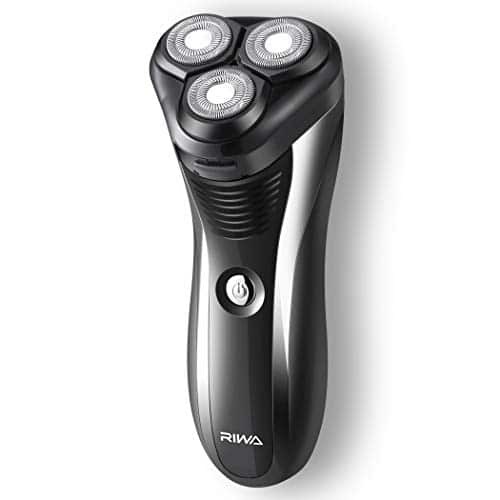 RIWA RE-5301 electric shaver is equipped with a ultra-powerful motor for men with tough or heavy stubble and beard. Double-track foil and self-sharpening steel blades provide close and clean shave, yet still keep ultra quiet and makes few noise. IPX7 whole body waterproof for safely shaving while showering and easy cleaning under faucet. No matter wet shave with gel/foam or dry shave are equal perfect. Please be kindly noted: Charger adapter is not included. It compatible with all standard 5V power adapters. 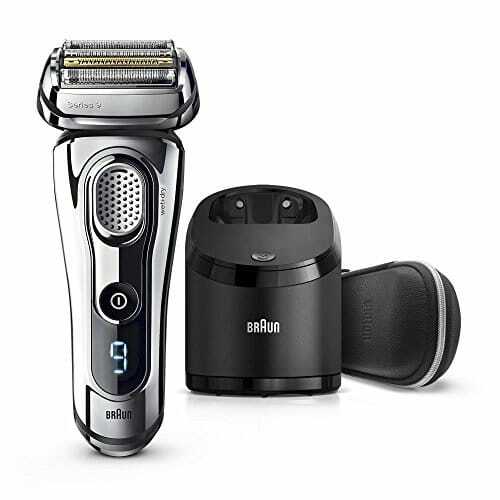 Ultra-powerful motor, double-track foil and self-sharpening steel blades are perfectly for men with tough or heavy stubble. 3 independent flexing heads follow the contour of your face to remain in close contact with the skin for a clean and fast shave. 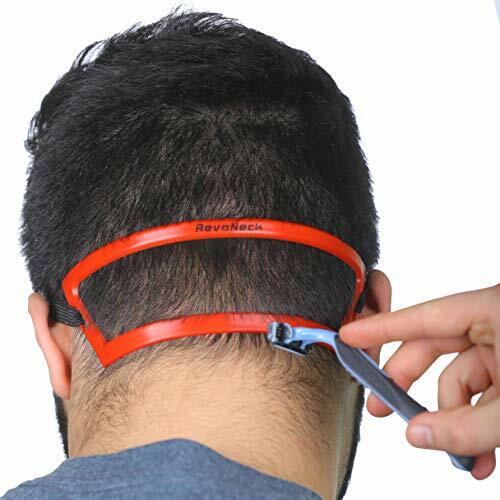 Precision pop-up trimmer easily trims sideburns, moustache and any facial hairstyle, giving you a reliable and convenient shave. 100% whole-body waterproof for safely shaving while showering. No matter wet shave with gel/foam or dry shave are equal perfect. Lithium-ion battery fully recharges in 1 hour, providing up to 120 minutes of shaving. Micro USB cable(included) compatible with all standard 5V power adapters(not included), convenient for your daily and travel use. 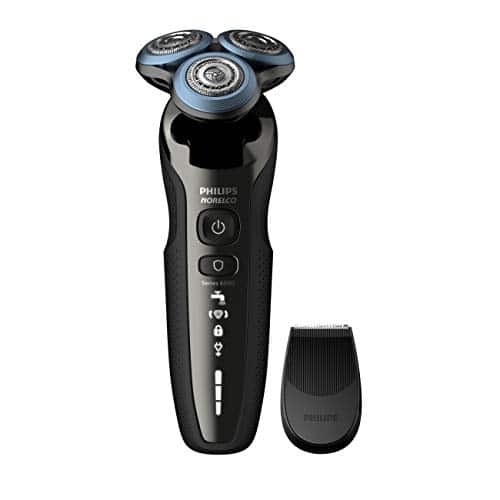 Philips Norelco Shaver 6800 delivers a clean shave while reducing skin irritation. Its SkinProtect blades capture hair in fewer passes while the MultiFlex heads contour in 8 directions. Enjoy advanced skin protection with the patented ComfortGlide rings, a special protective coating with skin gliding properties to protect your face from redness and irritation. SkinProtect Blades capture hair in fewer passes for a smooth shave. ComfortGlide rings protect your face from irritation. Get a convenient dry shave or a more comfortable wet shave. Skin Guard Mode protects your skin for less irritation.